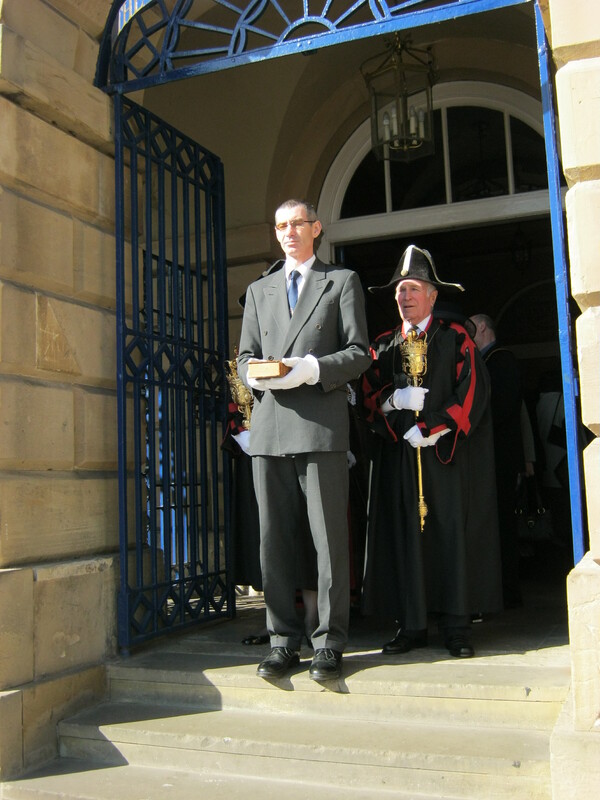 It is an unusual tradition, although endowed sermons are not rare in England, surviving ones are and certainly the association with the Mayoralty and colourful nature of its legend, its name Bombshell sermon, kept it well known. I am attended the ceremony on warm Sunday 11th, the exact day of the incidence. The delightful parish church of Mary Magdalene rang out at 11 o’clock to call the assembled Mayor, local dignitaries and those in local business to the sermon. 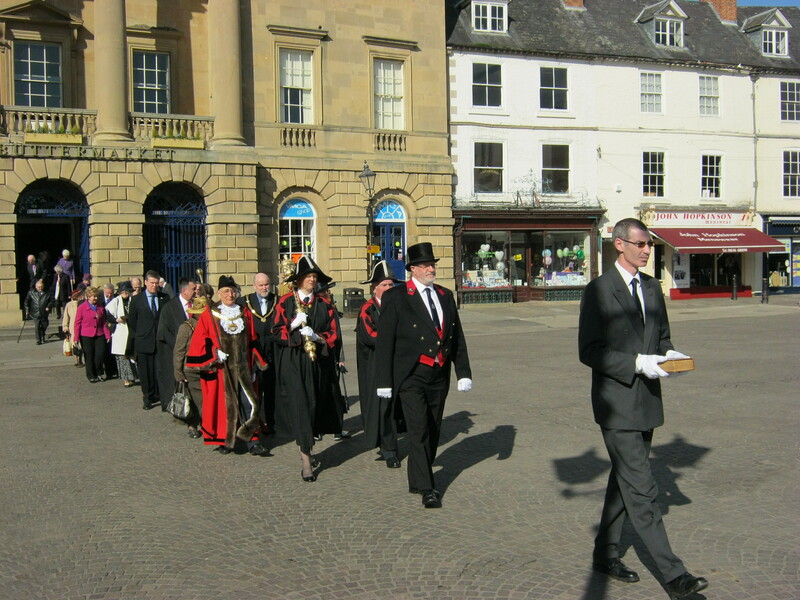 They processed with great solemnity from the Town hall next door to Clay’s residence and led by a bible bearer, said to carry Clay’s bible or a replica. 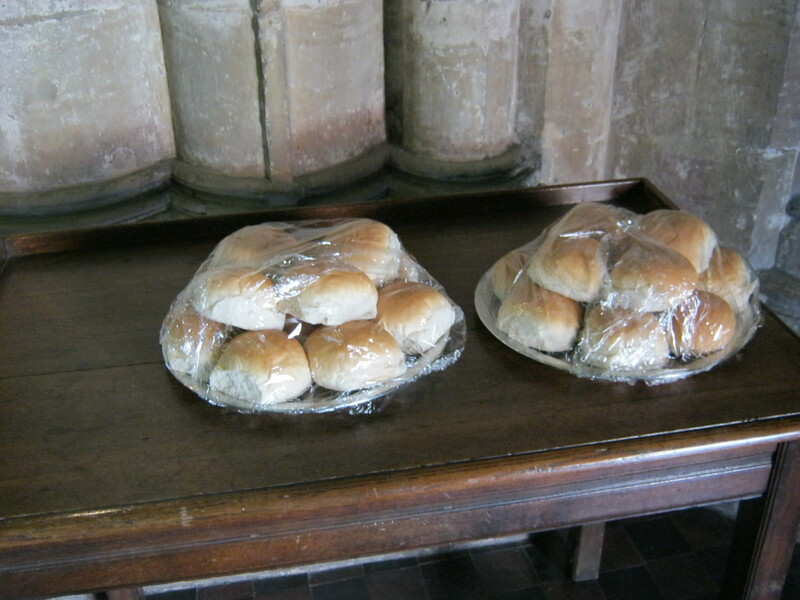 As we entered the church, two trays could be seen with bread buns wrapped in cling film, the penny loaves noted above. The vicar welcomed the assembled congregation, with the bible presented at the altar and the readings had a bread theme, the sermon on the mount, being the obvious one…. “some gentlemen amused themselves by kicking the bread around in the streets.” They noted that they believed that they would “regret the waste if in the future they are hungry”. It appears at some point, the sermon died out to be re-established in 1974 when the current Mayor decided to commemorate again this most famous son. Varying reports suggest that the bread dole disappeared (probably because of the enormous sizes of the doles of the 19th century), or it was replaced by money. 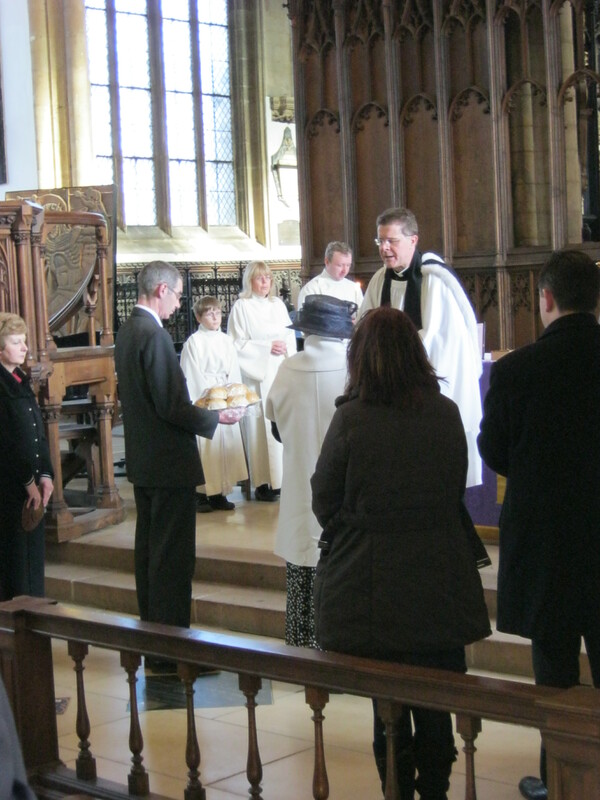 Interestingly, in recent years the trend has been reversed and although it is reported in various books that members of the choir receive the loaves (in the Newark advertiser in 2008-2011 particularly), the present ceremony invites local charities to do a presentation and it is to that chosen charity that the loaves are given. 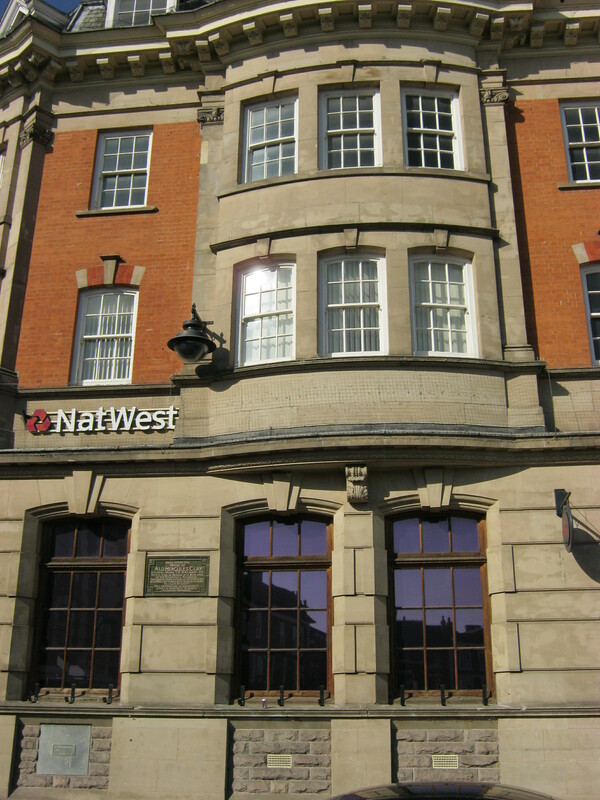 In 2012 it was Newark Foyer who provide for the homeless and they took the twenty loaves and deciding to add Bacon to them would give them to anyone who came looking for help at the desks on the following Monday. So I am sure that Clay would be happy to hear that the needy are once again receiving the dole.